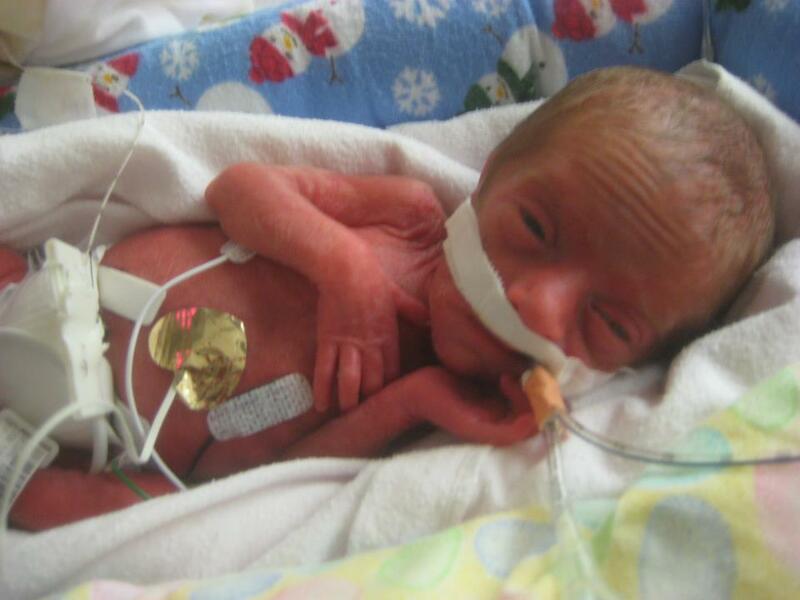 "Myka was born January 14th at 1lb 11oz - 11" long. She was a micro preemie. Something I had never seen. I heard about people having tiny babies, the size of a soda can, but never thought it would happen to me. I never saw something so tiny. She looked like a little alien baby. I prayed that she would cry when she was delivered, and she did, it was faint and sounded like a kitten, but I heard it and that somehow gave me some sense of peace. I still get emotional when I think about that moment. My husband knew she was going to be OK, but I didn't have that faith right away." "Myka was a fighter from the start. Something I have found out about the little ones, is they don't give up easy, do they?" "Myka was on a vent for a week, and then went to a C-Pap. I finally heard her voice again. I will never forget that day. But the nurses hated the C-Pap because alarms constantly went off. The masks just don't fit those tiny faces properly. The C-Pap only lasted 6 days and then Myka was placed on the vent again. The vent was my enemy. The first time I was allowed to do kangaroo care, I extubated her when we were putting her back because I got up too quick. I turned my daughter blue but everyone quickly went into action, bagged her and pinked her up again. That was traumatic for me, but Myka was fine. 6 weeks later, we decided to do the Dart Protocol to help her get off of the vent and within 2 days she was back on C-Pap and then a day later the high flow cannula. It seemed like she was on high flow forever. I hated seeing all that tape on her poor little face. I didn't even know what she looked like without all of that tape. Some nurses taped well and some didn't have that "gift". It was so frustrating." 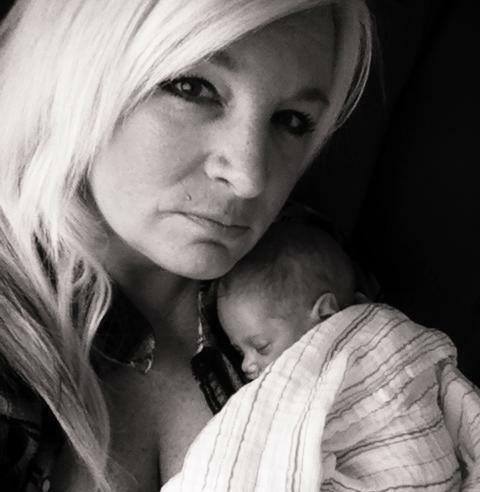 "Her feeding tube never stayed in because she slobbered and the tape never stuck. Myka was a wonderful eater from the start, but they wouldn't remove her feeding tube because she was still on high flow. Our primary nurse begged the doctors to let her try low flow. She was our advocate. Myka fluctuated between 97 and 72 on o2 saturation on the high flow. As soon as she was placed on the low flow she statted 100 consistently. She was on a 1/2 liter of o2 but staying at 100%. It was so nice not hearing those alarms any more. The low flow cannula was so much smaller and the mini whiskers were introduced. Everything just looked so much better and her stickers finally stuck." 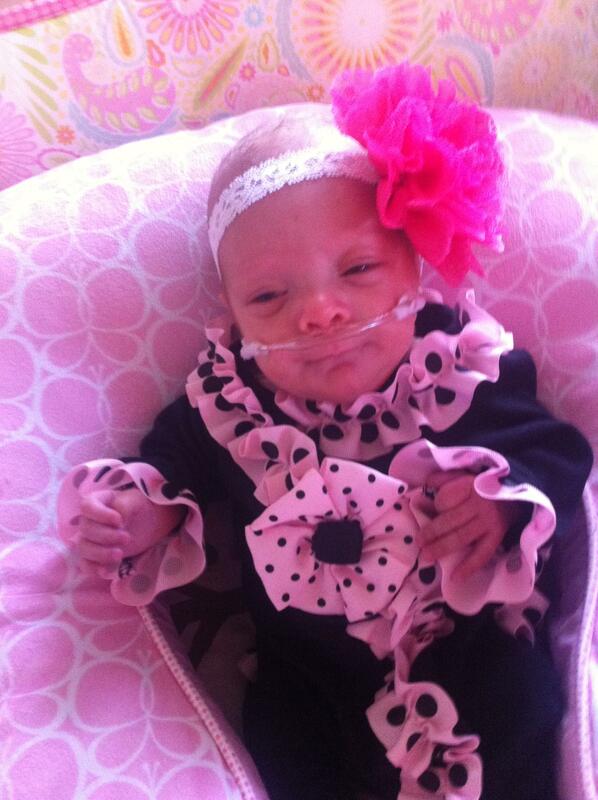 "After begging the doctors to let her come home and spending 89 days in the Nicu....Myka was released. 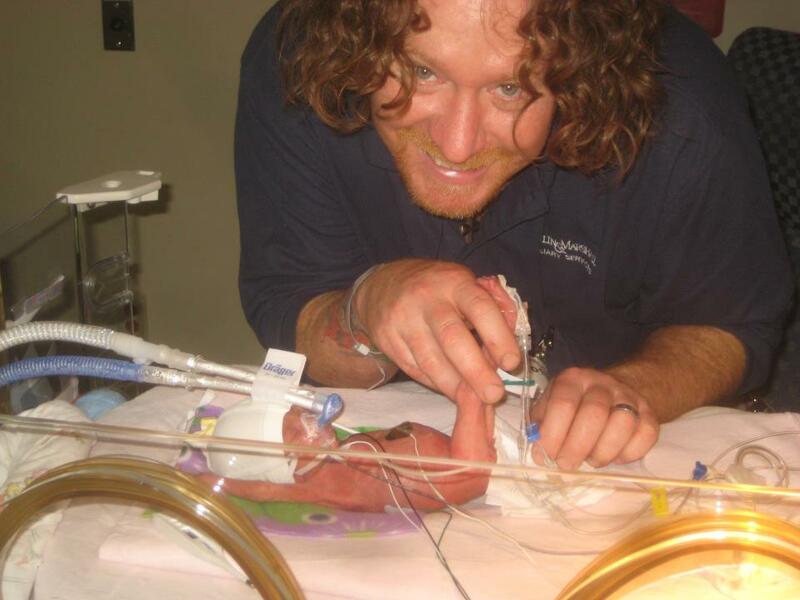 I was in the Nicu every single day from 10am-8pm. I held her as much as I was allowed. She was gaining weight all along but had finally reached 5lbs. Our little angel was thriving. After 3 blood transfusions, being on a ventilator for 7 weeks, being poked, pricked, and constantly bothered : ) she was heading home. Our ending was a happy one. Myka still suffers from Chronic Lung Disease. We have tried to take her off of the o2 twice since she came home, but she is not ready. We think she will be on for a while yet, so please understand how amazing I think your company BMS is for working with us. Without your mini whiskers, every day would be a cannula fight! Thant's no joke! Myka looks and acts like a healthy baby today. Last Wednesday she was 5lbs 15 oz. My how far she has come!"